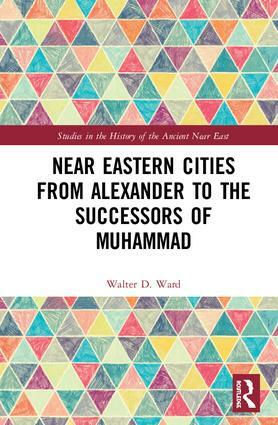 Near Eastern Cities from Alexander to the Successors of Muhammad compares the evolution of several cities in the Near East from the time of Alexander the Great until the beginning of the Islamic 'Abbasid Dynasty. This volume examines both archaeological remains and literary sources to explain the diversity of imperial, cultural, and religious influences on urban life. It offers several case studies chosen from different regions of the Roman Near East, demonstrating that Greco-Roman and Islamic culture spread unevenly through these various cities, and that it is impossible to make broad generalizations. It argues instead that there were different patterns of urbanism that demonstrate a continued vitality of civic life up to the 'Abbasid revolution. Near Eastern Cities from Alexander to the Successors of Muhammad will be of particular interest to students of this period in the Ancient Near East, as well as those studying ancient cities and everyday life. Walter D. Ward received his PhD at the University of California, Los Angeles, USA, in 2008 with a concentration on Roman and late antique history. He is currently an Associate Professor at the University of Alabama at Birmingham, USA. He is the author of Mirage of the Saracen: Christians and Nomads in the Sinai Peninsula in Late Antiquity (2014) and editor of two books - The Socio-economic history and material culture of the Roman and Byzantine Near East: Essays in Honor of S. Thomas Parker (2017) and Sources of World Societies (with D. Gainty, 2009 and 2011).